Das Ethopian Cuisine in Georgetown offers Ethiopian meals that consist of several shared dishes all eaten with a thin bread called injera. The nation’s capital is known for the White House, national monuments and U.S. history. Despite its association with all things American, it’s also known for Embassy Row and its authentic eateries from around the world. With a focus on sharing and appreciating cultures, the D.C. restaurant scene showcases tasty regional dishes – especially from Ethiopia, El Salvador and even the District, itself. Before you dive into an Ethiopian dinner, make sure your hands are clean. Ethiopian dishes are all about the finger foods. In Ethiopian culture, the plates are shared with the entire table. An Ethiopian meal starts with a roll of injera brought out to the table. With a crepe-like size and consistency, injera is crafted from a grass called teff and fermented with water for several days. Then it becomes similar to sourdough bread and filled with protein. The injera is served alongside dishes that have berbere, a dark red spice consisting of sun-dried chiles, and seven other strong spices mixed in. Injera is also eaten with wat, an earthy, spicy stew made with meat or vegetables, that can be scooped up by the injera. 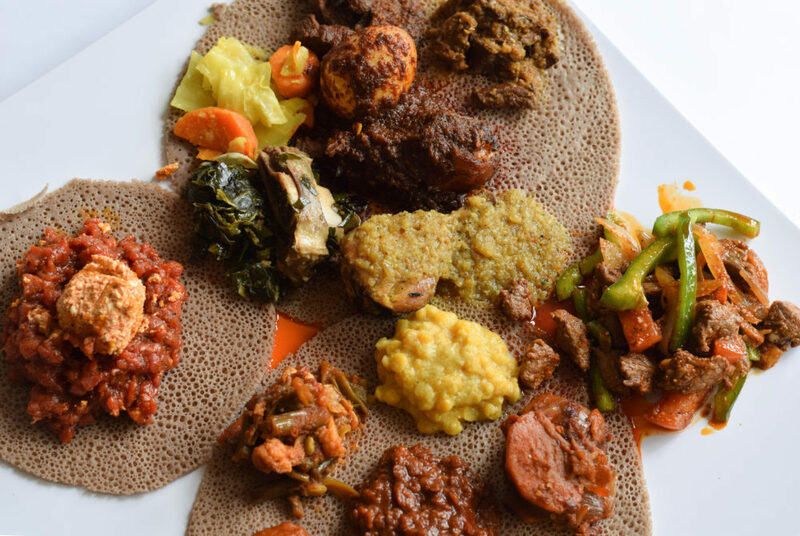 Spice up your night at Das Ethiopian Cuisine, located at 1201 28th St. NW in Georgetown, for an upscale Ethiopian meal. You could also try Lalibela, located at 1415 14th St. NW in Logan Circle, for a hole-in-the-wall feel. Authentic El Salvadorian restaurants, like El Rinconcito in Logan Circle, fill the District because of the high number of people from El Salvador that live here. 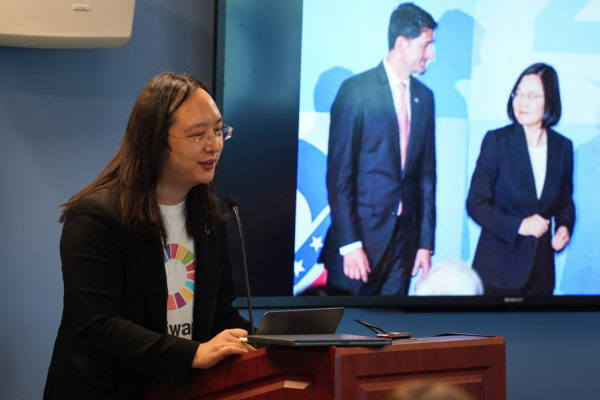 The District is home to the second-highest concentration of El Salvadoran immigrants in the U.S., only second to Los Angeles, according to the Migration Policy Institute. 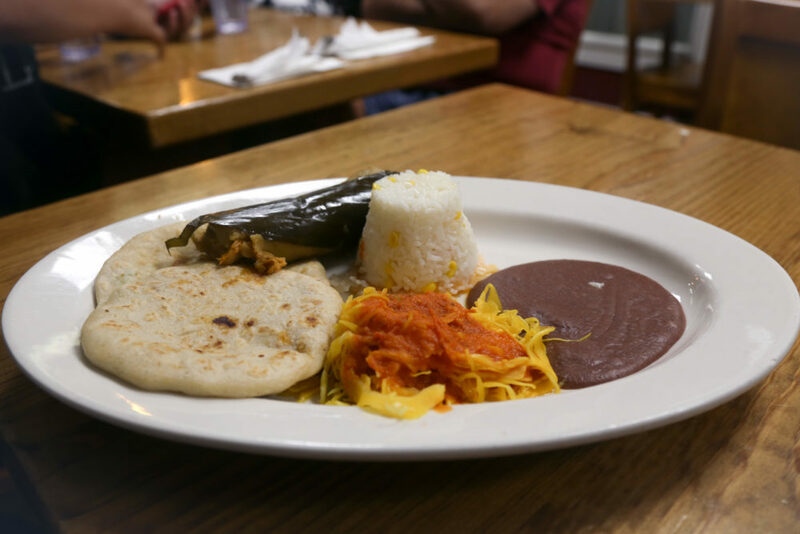 With so many El Salvandorans living in the area, it’s no surprise that D.C. residents can easily find authentic El Salvadorian restaurants. One of the most popular El Salvadorian dishes is the pupusa. Loaded with hot, melted cheese, these salty, pancake-like corn tortillas are fried until golden. The best pupusas are made to order and served piping hot and bubbling with Oaxaca cheese. Occasionally refried beans, squash vines or other fillings offer a nice bit of texture inside. Pupusas are typically complemented by curtido – a lightly fermented cabbage, onion, carrot and oregano slaw – or a spicy salsa. If you haven’t racked up enough frequent flyer points to travel to El Salvador, then El Rinconcito, located at 1129 11th St. NW in Logan Circle, or Haydee’s, located at 3102 Mount Pleasant St. NW in Columbia Heights, offer pupusas that would rival any served south of the equator. El Tamarindo, located at 1785 Florida Ave. NW, provides steaming pupusas with a family-friendly, neighborhood vibe. D.C. locals replace an average hot dog with a savory half-smoke sausage, like this one from HalfSmoke, located at 651 Florida Ave. 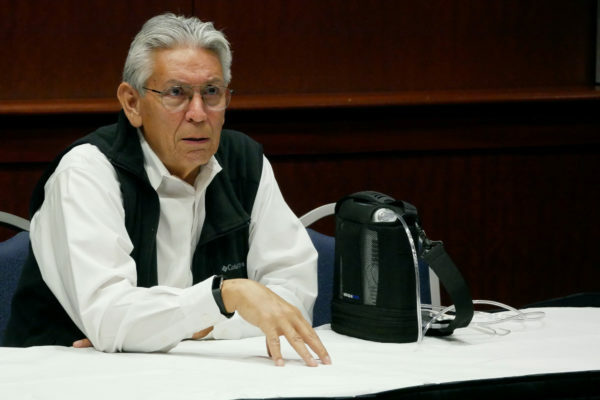 The history of the half-smoke isn’t memorialized with a monument like the rest of the history that entices tourists to visit D.C. Although it isn’t clear where D.C.’s most famous hot dog originated, it is clear that District locals will defend that it’s better than your average hot dog. Just like the name implies, a half-smoke is a hot dog made of smoked meat – half pork and half beef. It’s a sausage delicacy created and treasured in the DMV. It’s large, juicy and usually has red pepper flakes or spicy toppings to give it a kick. The strong flavor comes from meat that is smoked halfway and then cut in half to be browned on the grill, which also explains its namesake. These dogs are typically topped with herbs, onions, chili and mustard fixins. For more than 60 years, Ben’s Chili Bowl, located at 1213 U St. NW in Columbia Heights, with other locations across the District, has been the staple restaurant for the half-smoke. 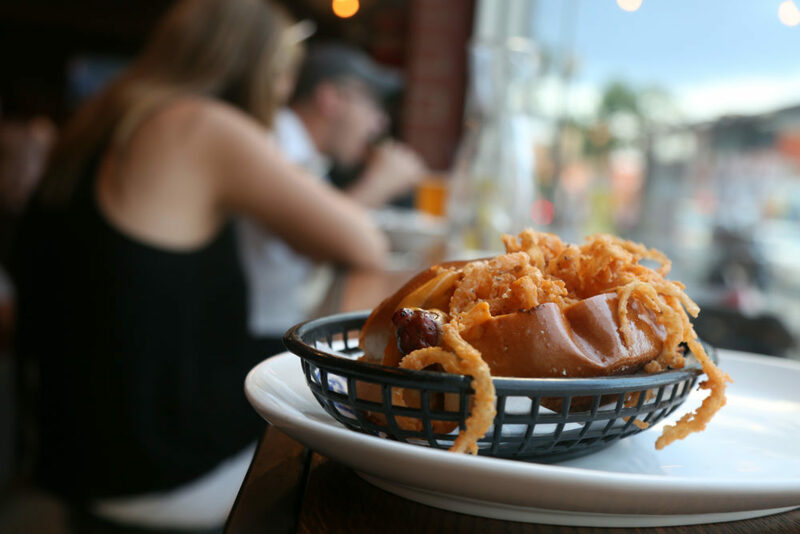 HalfSmoke, located at 651 Florida Ave. NW located near Howard University, borrowed the meal for its name and boasts a traditional dog with a trendy interior. Nothing pairs better than half-smokes and baseball, and The Big Stick, located at 20 M St. SE in Navy Yard, weaves half-smoke dogs and sports in a bar environment.